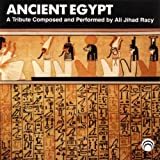 Composed and performed on traditional Near Eastern instruments by accomplished Arab artist Ali Jihad Racy, this CD is a musical tribute to the ancient treasures and religious symbolism of the Egyptian Book of The Dead. This now world-famous musical tribute was inspired by (and commissioned for the exhibition of) Tutankhamen's tomb. 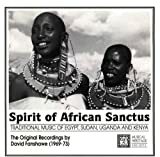 Selected as one of CD Review Magazine's 50 Definitive World Music Recordings. Egyptian pop has broken with the Arabic traditions of poetry, monophony and intricate melody, offering a fresh and sometimes controversial outlook. 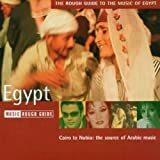 This album surveys the Egyptian music scene, the spiritual home of Arabic music, from Cairo and Alexandria in the North, to Nubia on the Southern borders with Sudan. She had the musicality of Ella Fitzgerald, the public presence of Eleanor Roosevelt and the audience of Elvis Presley. Born a peasant at the turn of the last century, legendary Egyptian singer Umm Kulthum earned a position of great wealth and influence. She was a powerful symbol, first of the aspirations of her country, and then of the entire Arab world. Four million people filled the streets of Cairo for her funeral in 1975, and to this day her songs outsell those of many contemporary Arab female vocalists. 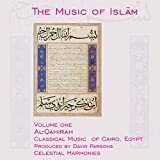 Narrated by Omar Sharif, Umm Kulthum, A Voice Like Egypt takes viewers into her home village and to the streets and cafes of Cairo where she lived and worked. Featuring concert footage, film clips and interviews with the famed singer's friends and colleagues, Goldman's documentary places the life and career of Umm Kulthum in the context of the epic story of 20th century Egypt.